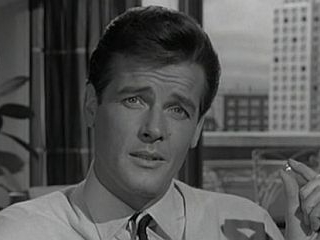 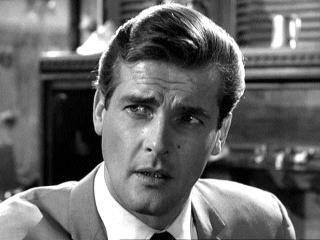 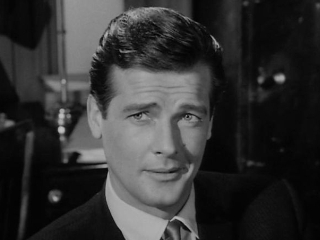 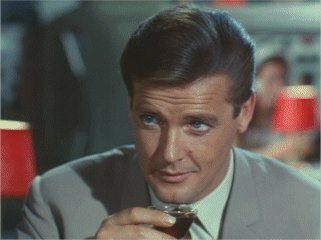 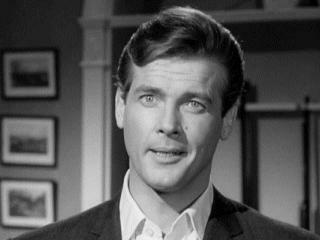 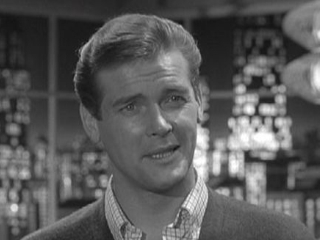 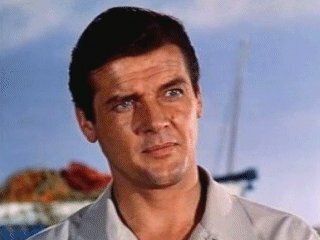 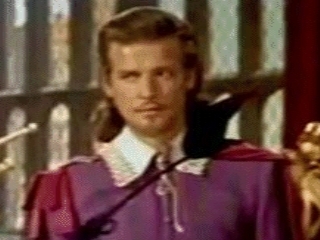 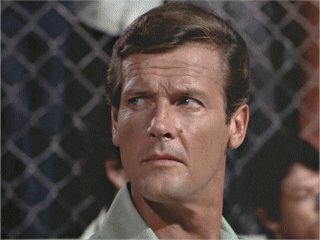 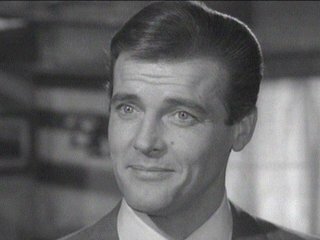 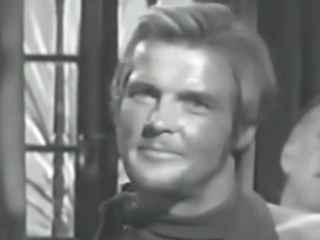 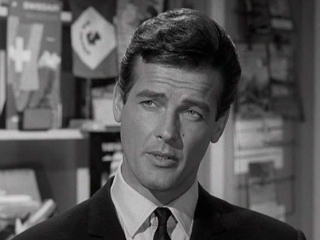 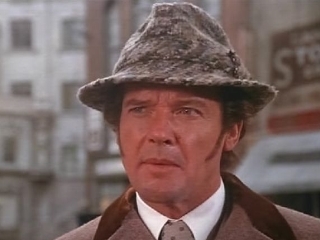 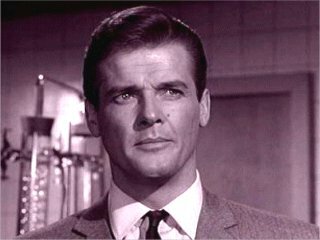 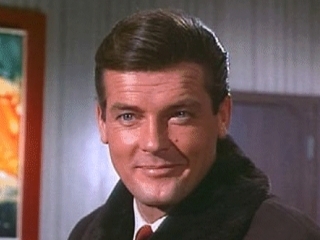 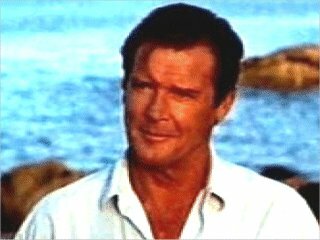 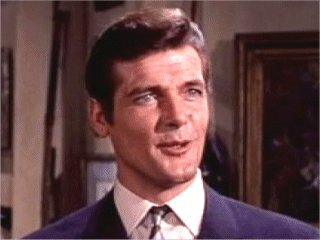 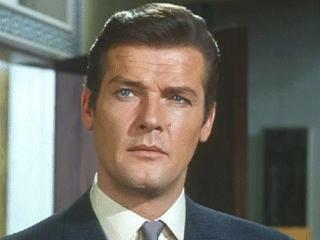 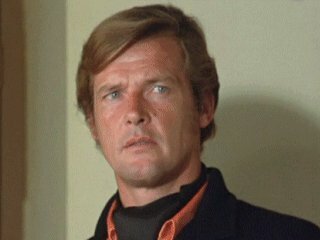 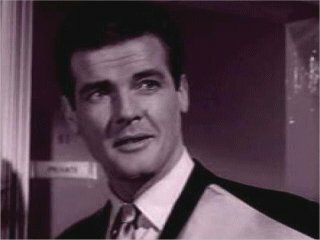 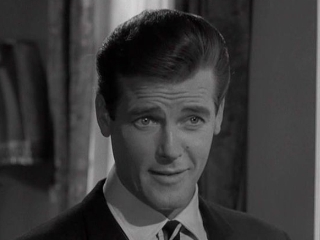 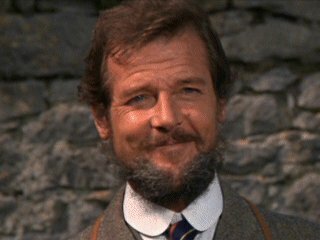 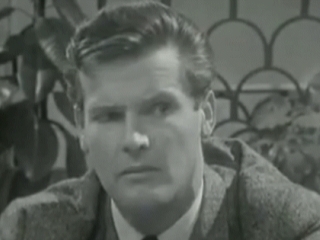 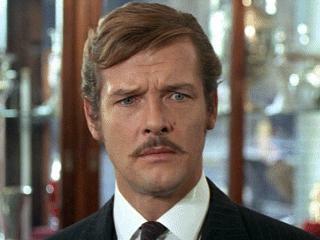 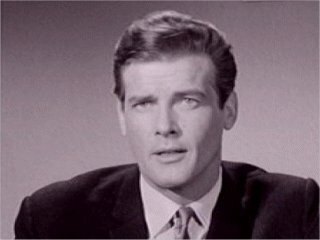 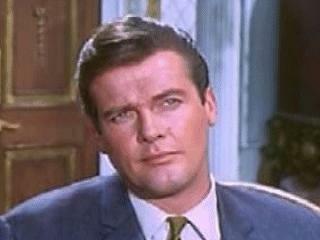 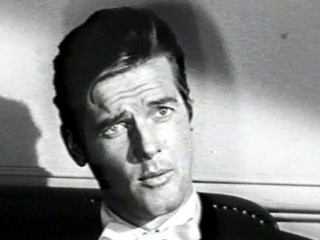 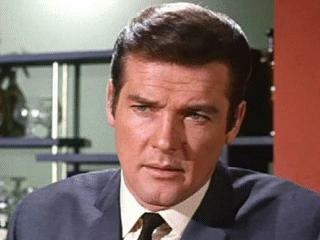 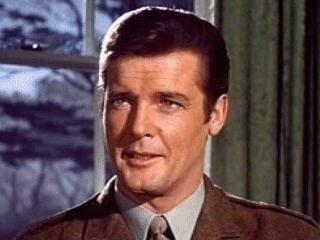 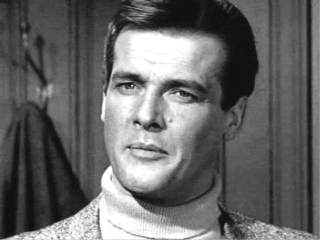 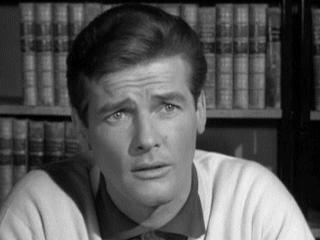 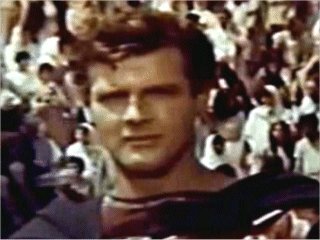 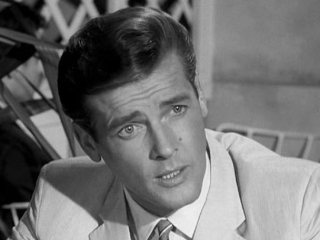 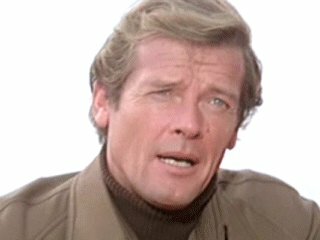 Suave English actor, more capable than many would give him credit for. 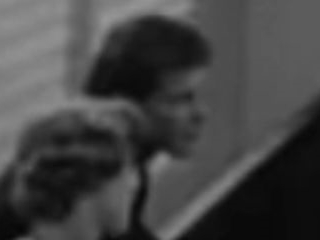 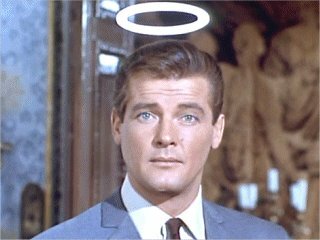 At his best when being impish, The Saint being just perfect for him. 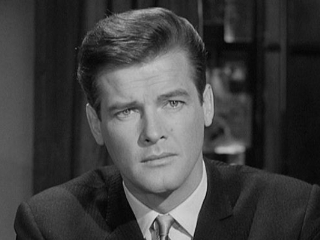 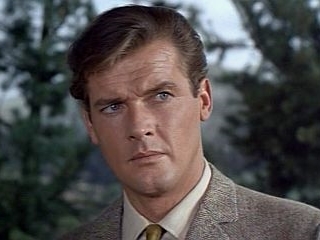 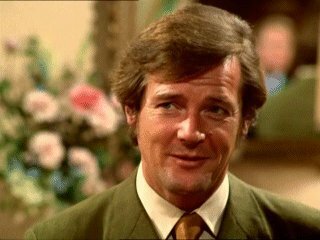 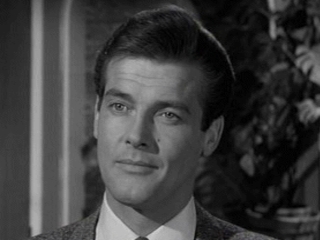 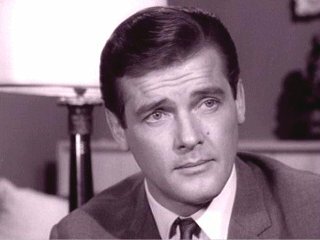 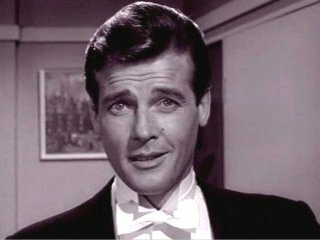 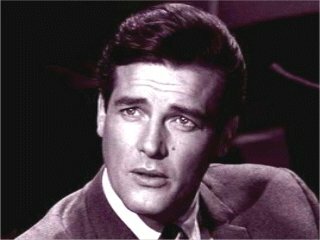 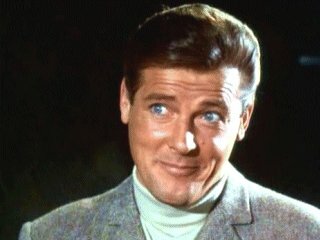 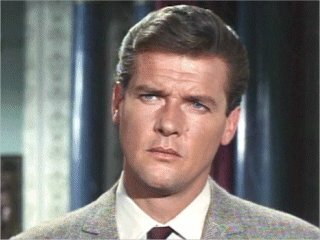 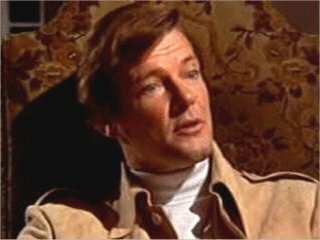 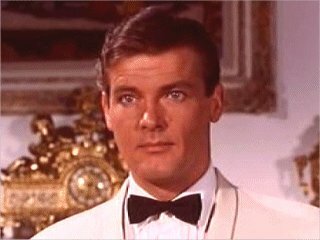 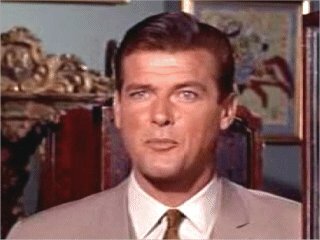 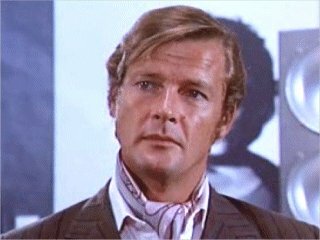 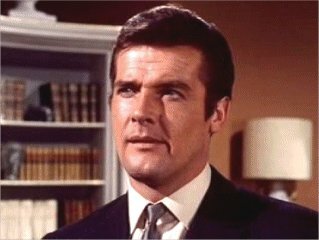 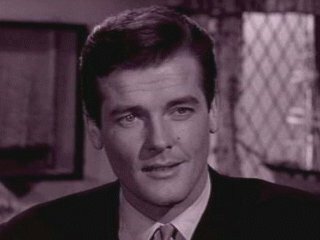 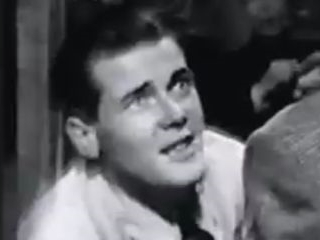 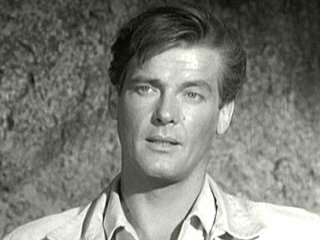 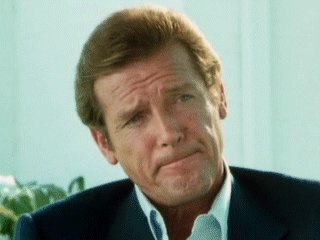 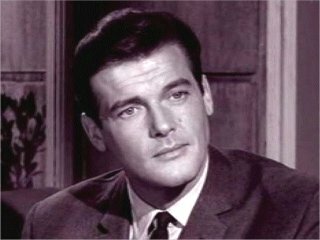 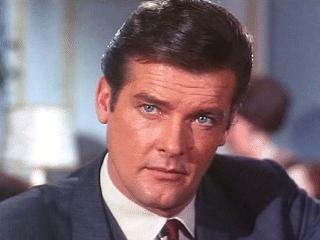 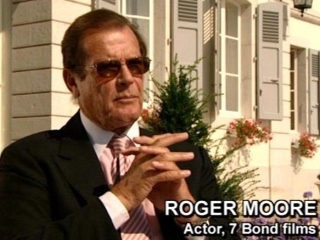 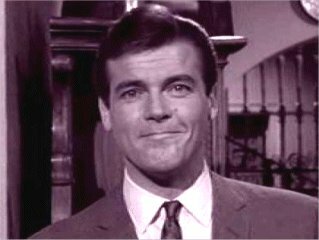 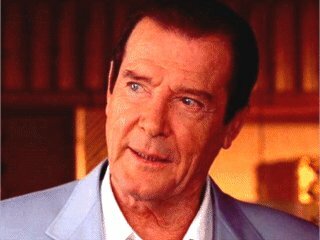 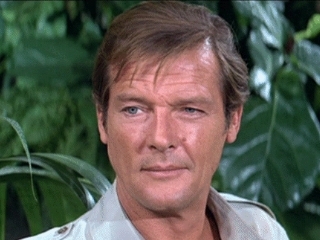 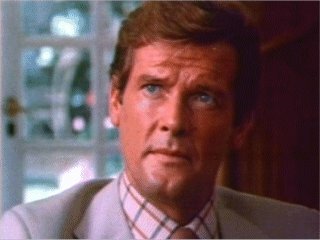 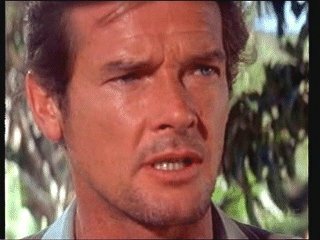 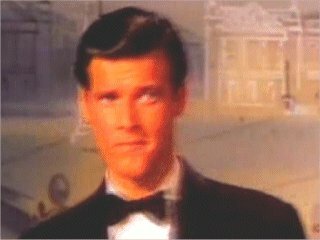 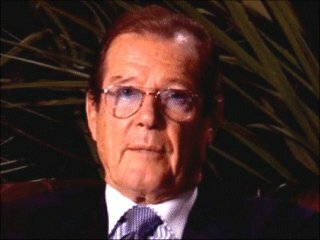 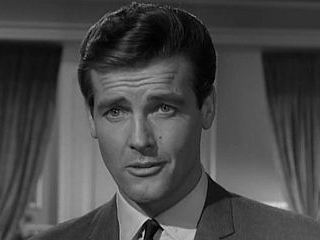 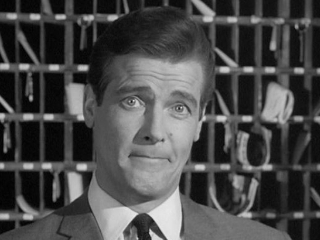 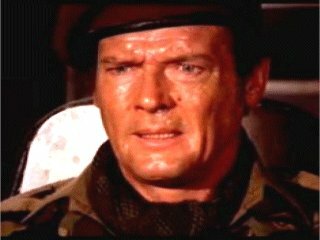 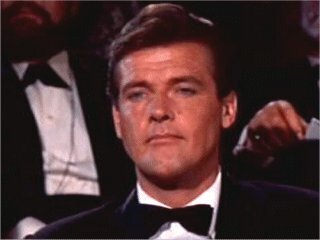 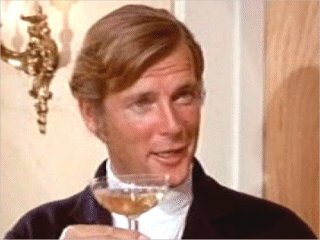 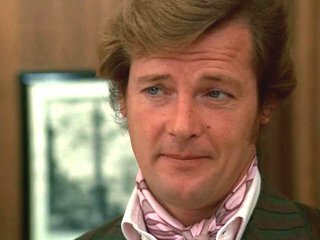 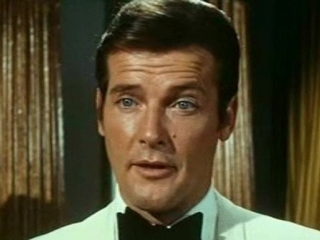 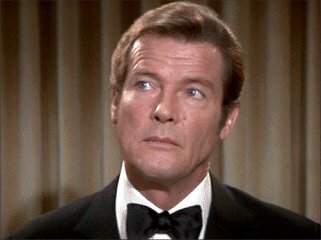 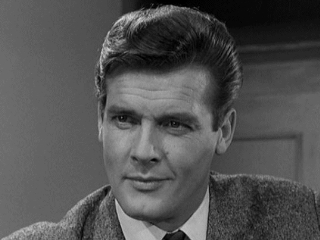 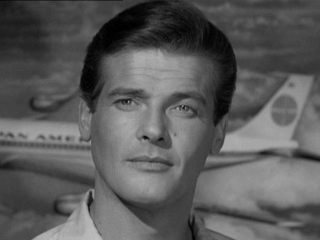 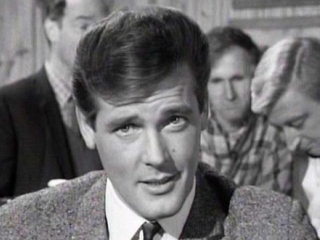 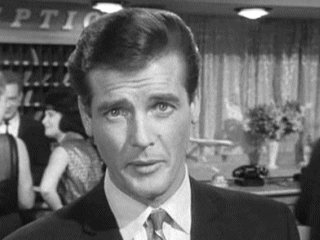 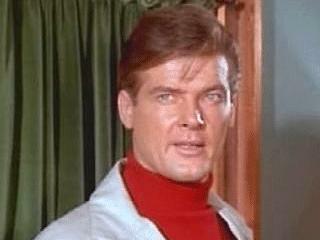 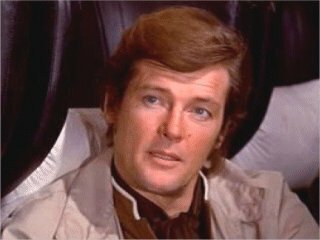 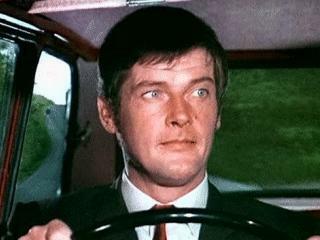 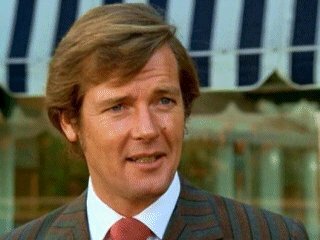 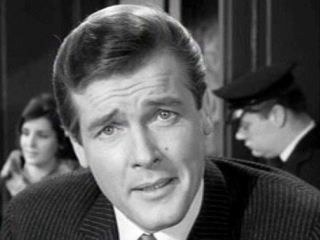 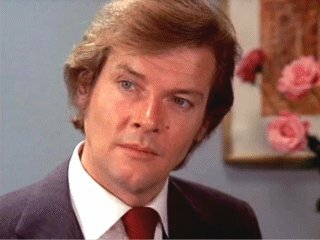 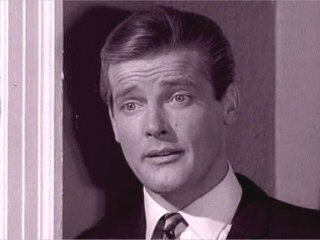 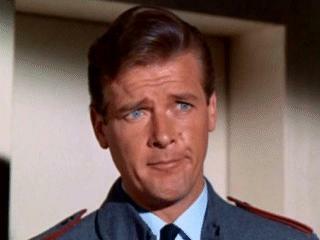 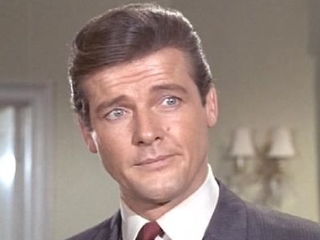 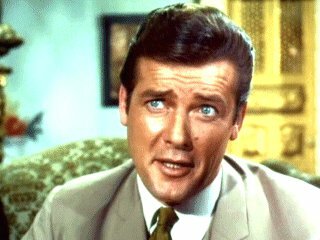 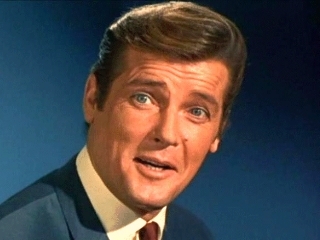 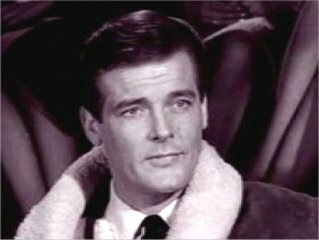 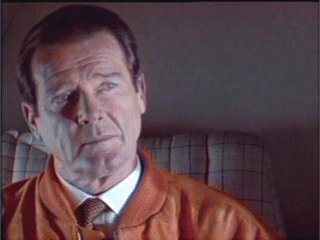 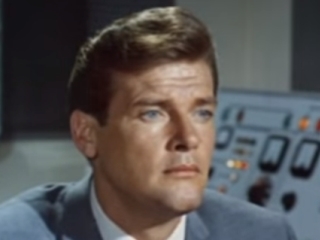 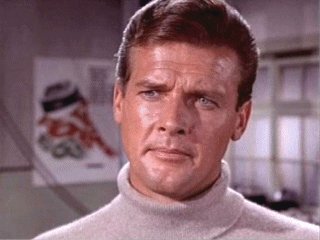 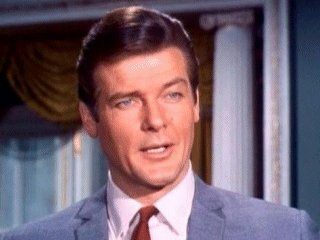 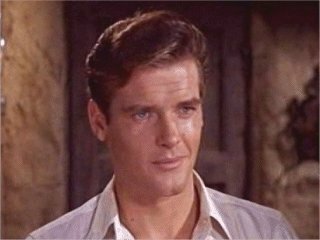 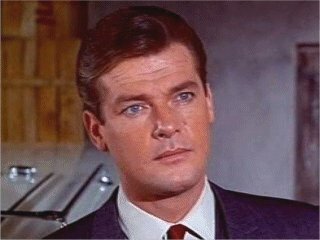 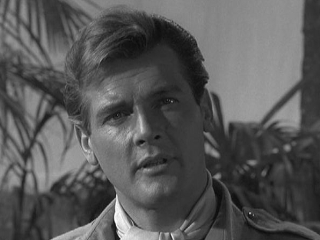 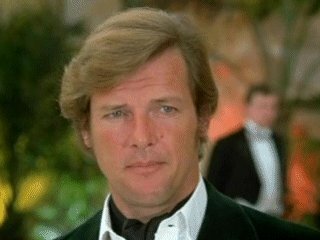 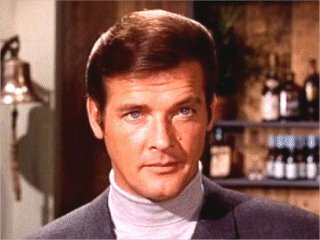 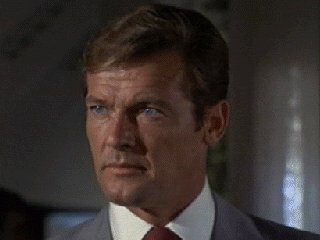 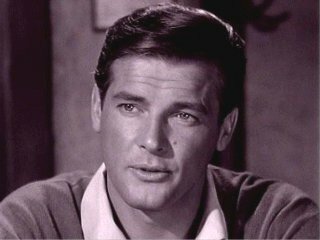 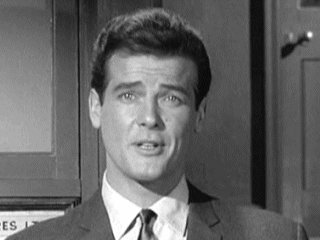 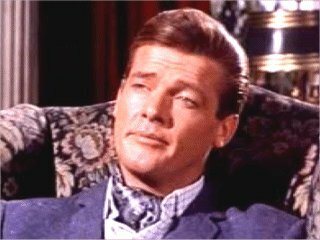 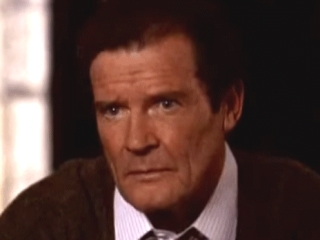 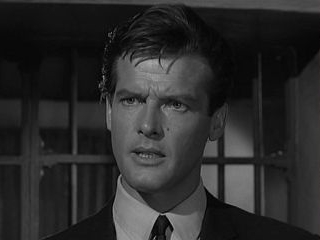 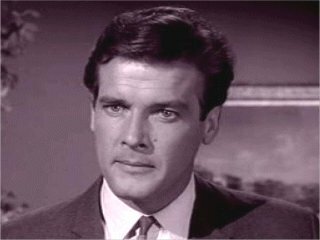 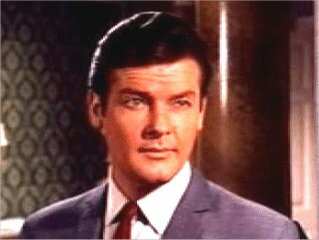 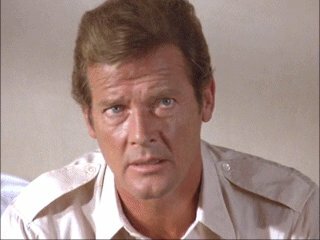 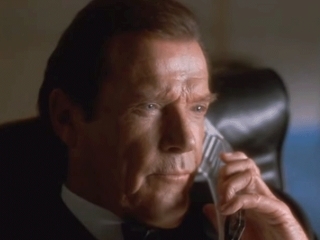 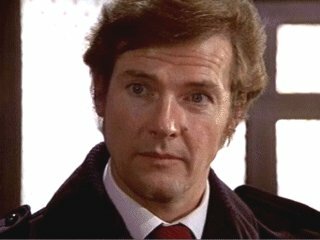 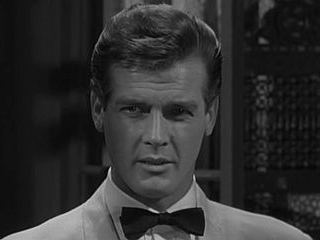 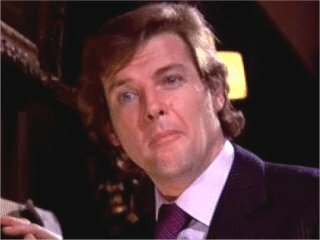 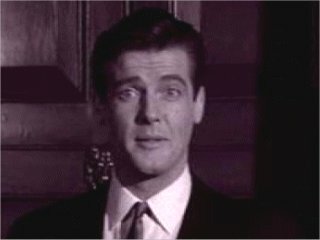 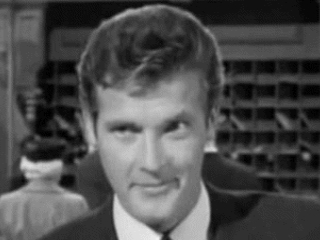 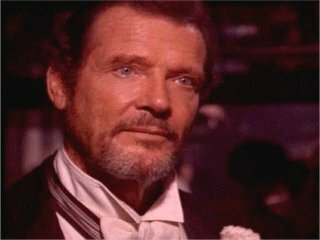 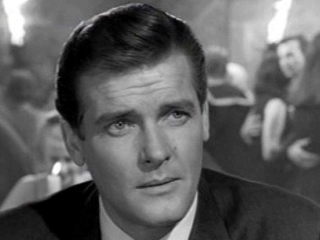 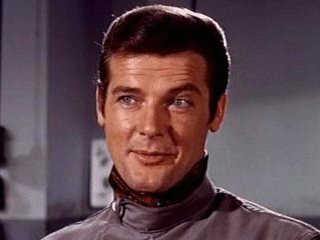 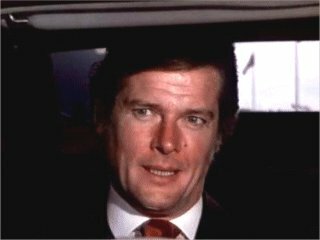 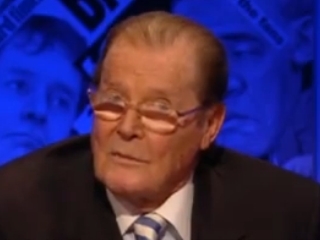 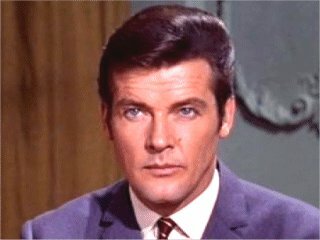 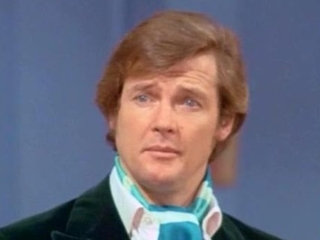 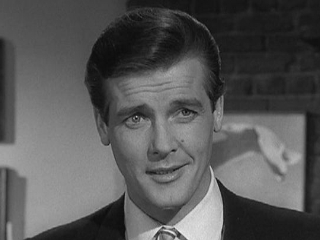 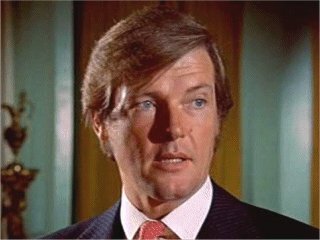 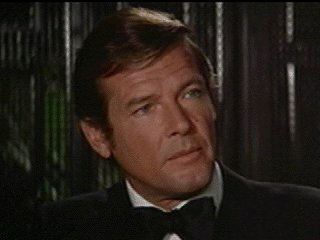 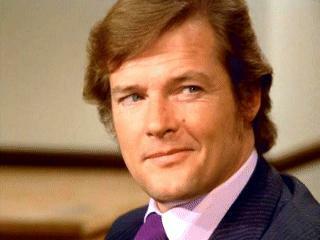 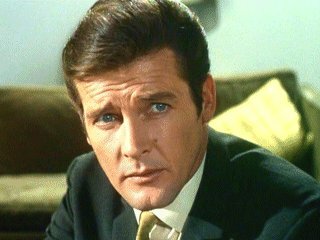 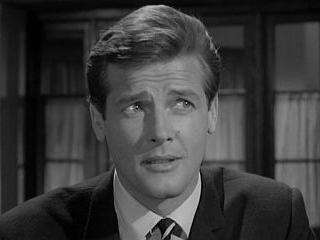 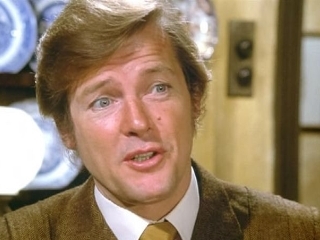 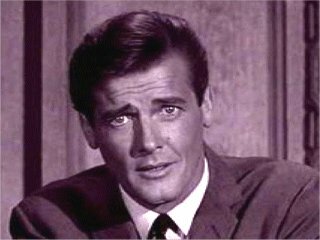 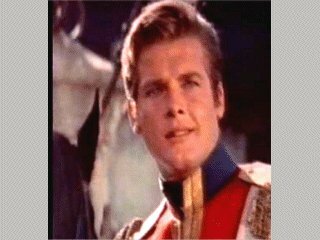 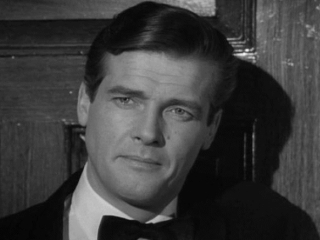 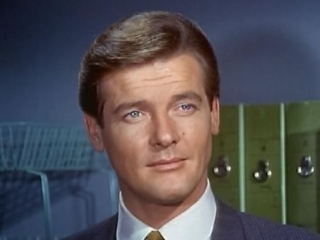 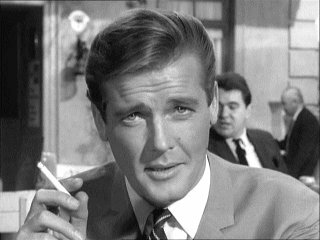 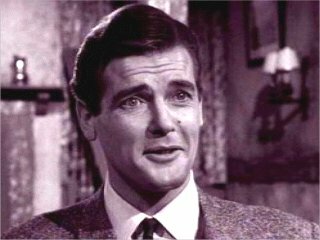 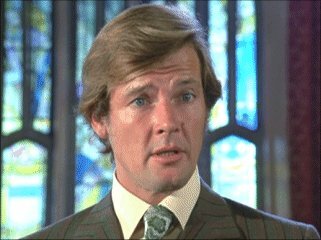 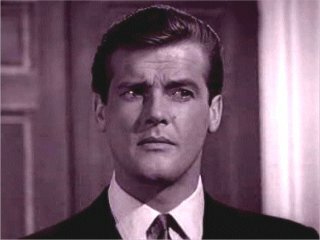 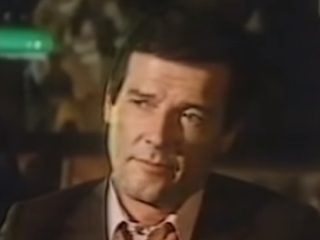 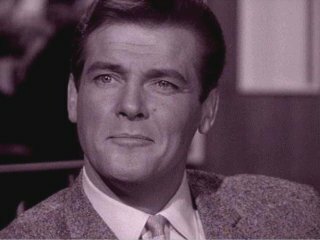 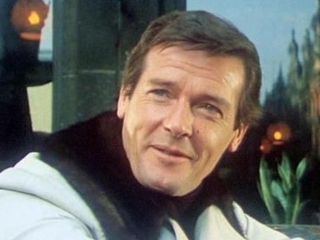 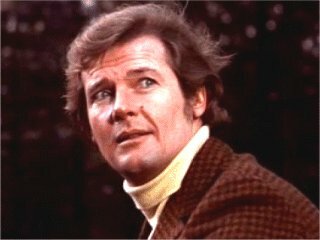 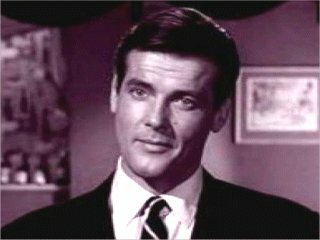 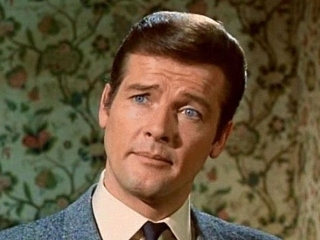 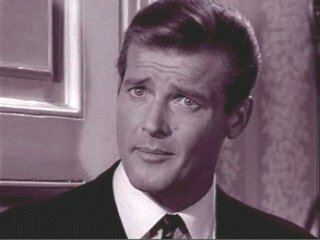 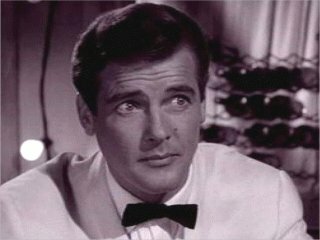 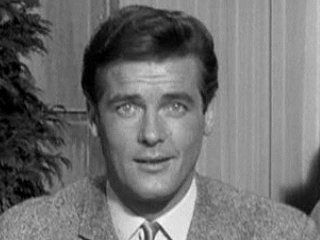 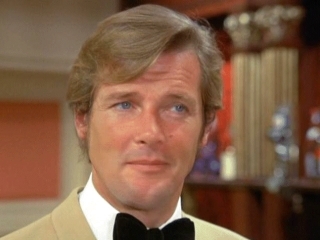 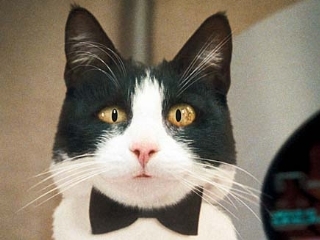 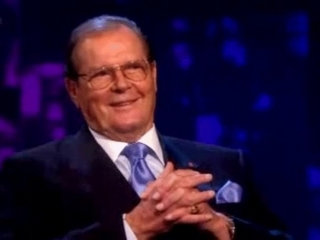 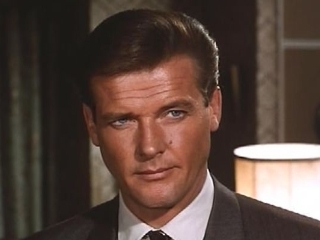 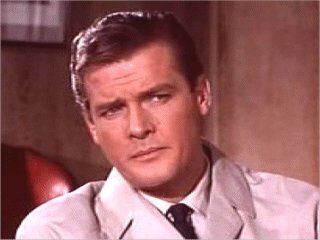 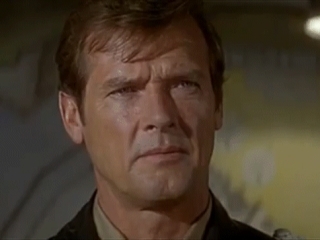 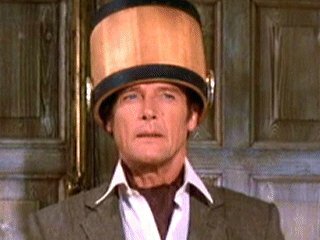 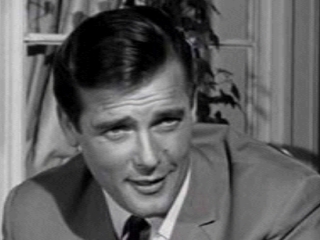 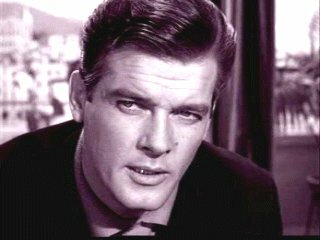 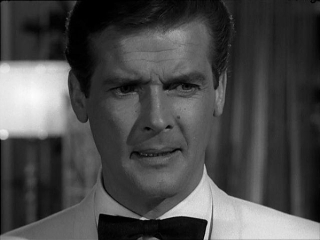 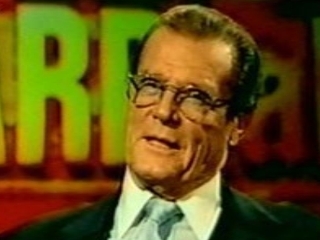 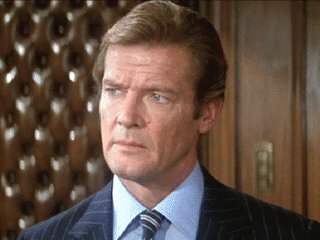 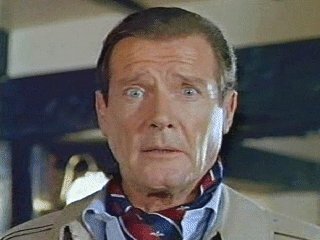 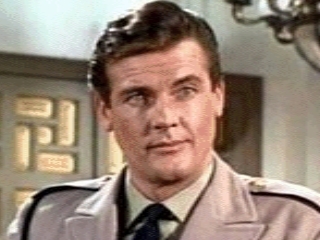 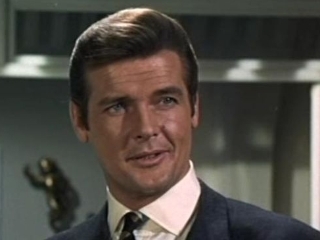 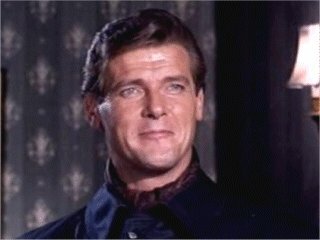 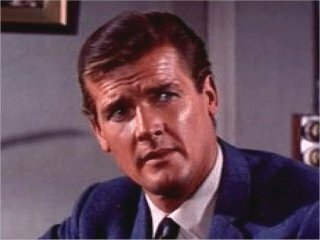 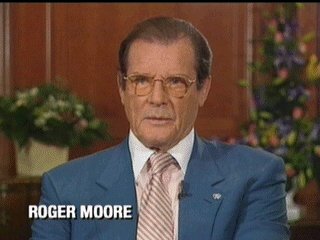 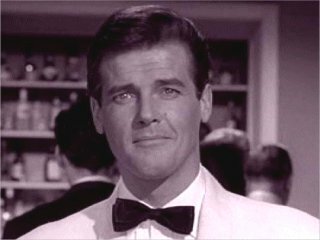 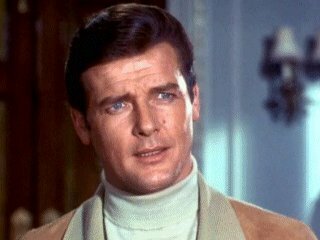 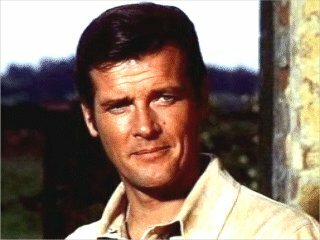 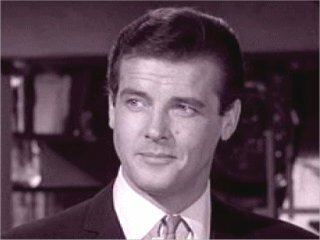 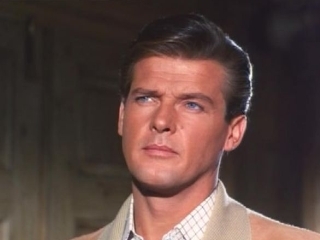 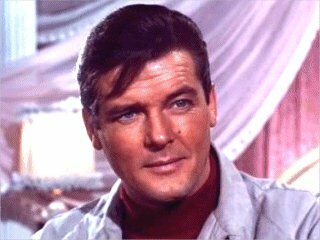 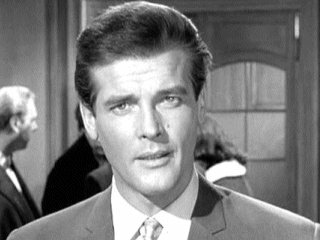 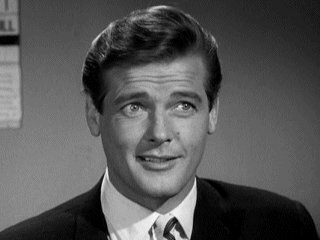 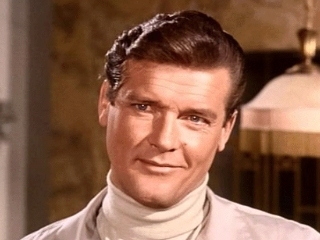 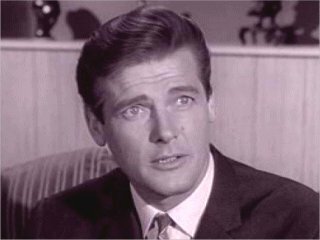 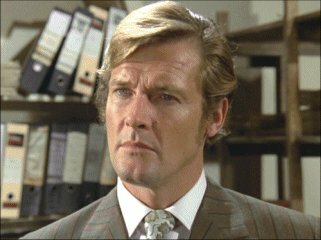 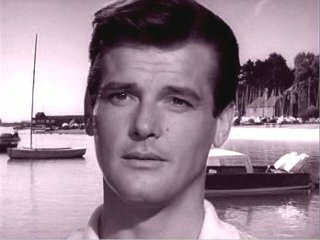 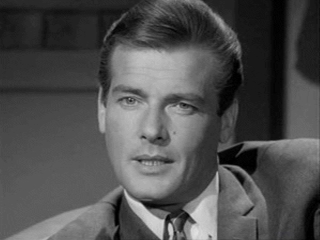 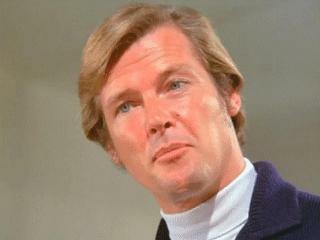 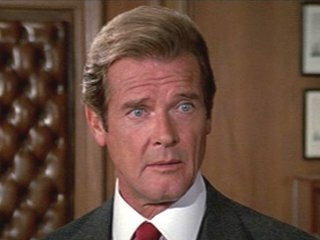 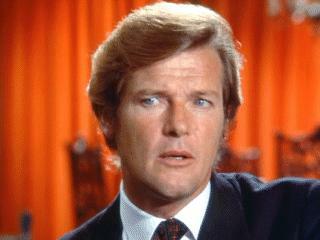 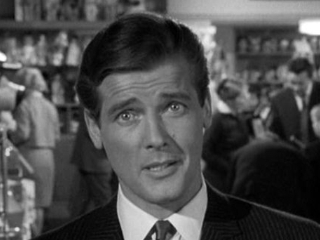 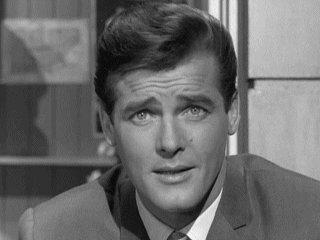 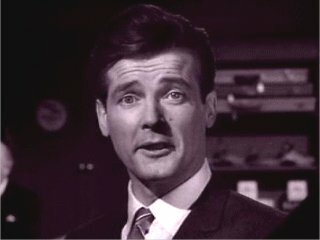 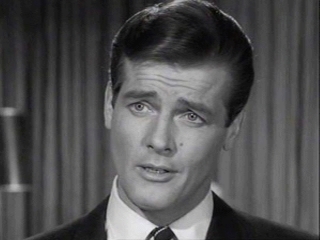 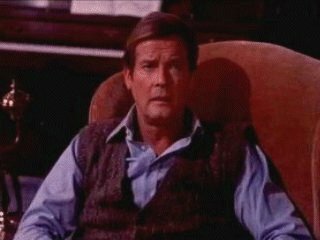 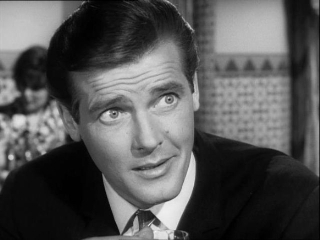 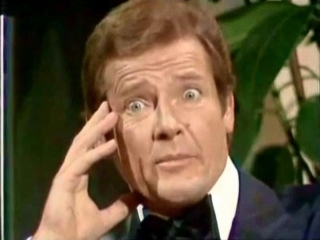 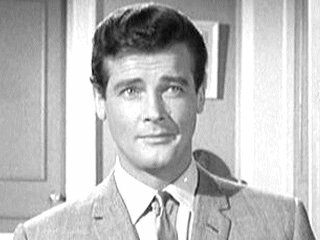 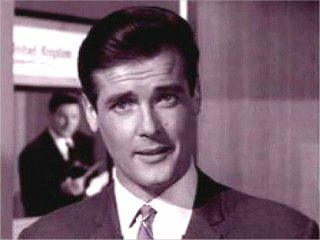 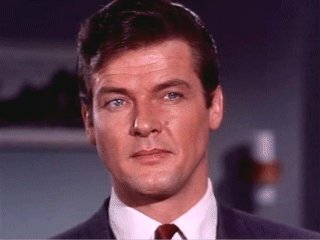 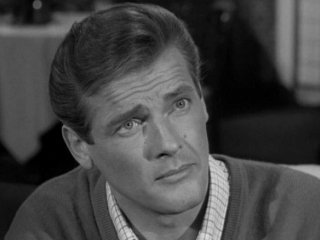 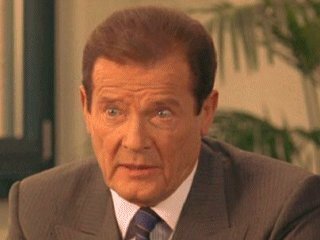 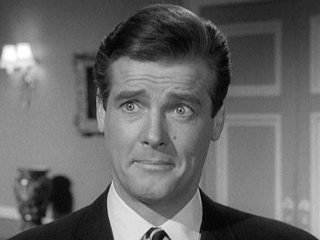 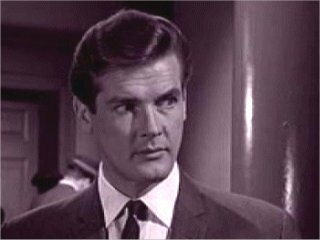 RIP, Sir Roger - you weren't the perfect Bond, but you were MY Bond. 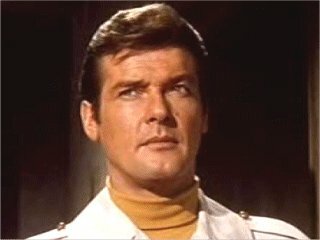 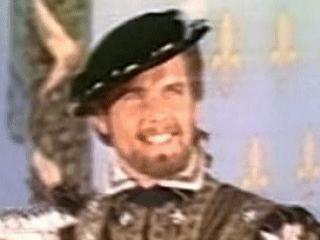 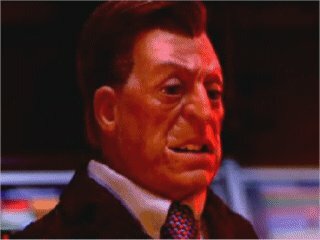 And you were a Templar exemplar. 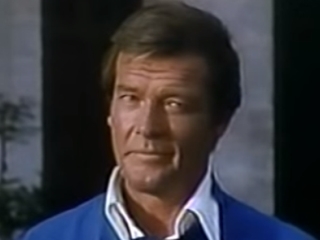 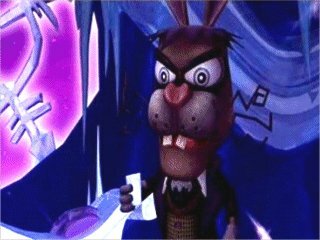 Thanks to Chris Survela for many, many screencaps! 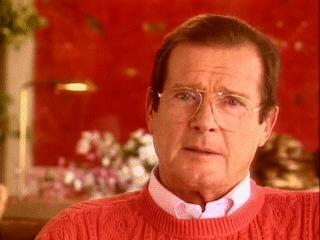 The Dame Edna Christmas Experience!